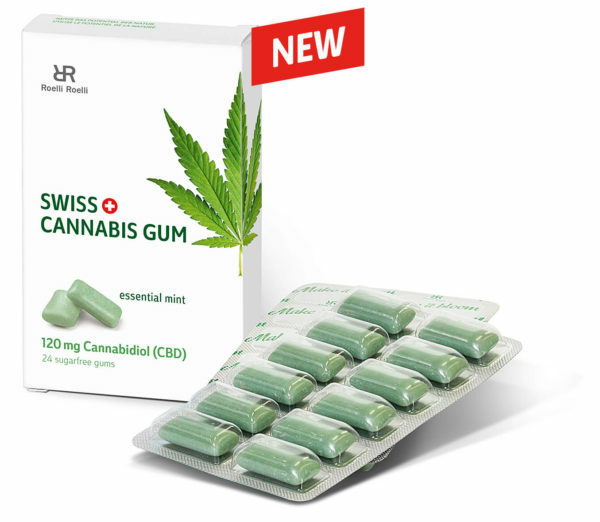 ﻿ roelli roelli confectionery | Swiss Cannabis Gum mit 120 mg Cannabidiol (CBD) - Natürliche Kraft aus der Cannabis-Pflanze. Ingredients: isomalt, sorbitol, polyvinylacetate, xylitol, cannabis sativa leaf/stem extract, natural fragrance, maltitol, acacia senegal gum, glycerin, mentha piperita oil, cannabis sativa oil, melaleuca alternifolia leaf oil, chlorophyllin-copper complex, copernicia cerifera wax, tocopherol, potassium acesulfame, sucralose. Learn more about us and our full product range. Pay for your order easily and securely with one of the following payment methods.